Bass Weejuns 'Elspeth Kiltie' 1960s Mod loafers. A gorgeous pair of tassel loafers that ooze in 1960s Mod style! With traditional Retro twin tassel detailing, cinched moccasin upper and cute Kiltie fringe. The exquisite fringed apron is a homage to the Mod Revival era. Perfect for that casual Retro look, they are a must have for you Mod girls! Bass Weejuns 'Elspeth Kiltie' 1960s Mod tassel loafers in wine high shine leather. Vintage burnished rub off effect for that authentic Retro look. Cinched moccasin upper, block heel and leather outsole. Neat stitch finish, classic fringed kilt to the upper. Handcrafted shoes with traditional leather sole, black side sole and heel. Classic Retro twin tassel detail. An elegant and sophisticated look that works great for work or play! Key Points: Bass Weejuns 'Elspeth Kiltie' tassel loafers. Classic Moc upper, Fringed apron (kilt) and twin tassels. Composition: Leather upper and leather outsole. 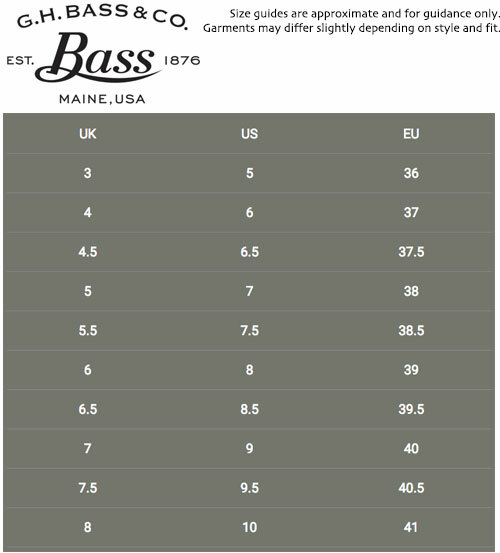 For sizing help, please refer to size guide (Size Guide can be found under the size selection drop down box above).